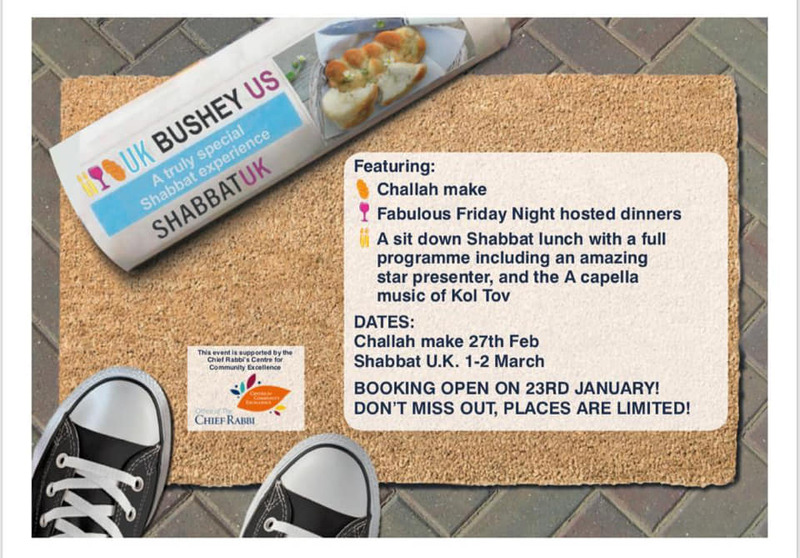 Bushey Shabbat UK will take place on 1-2 March 2019.
. 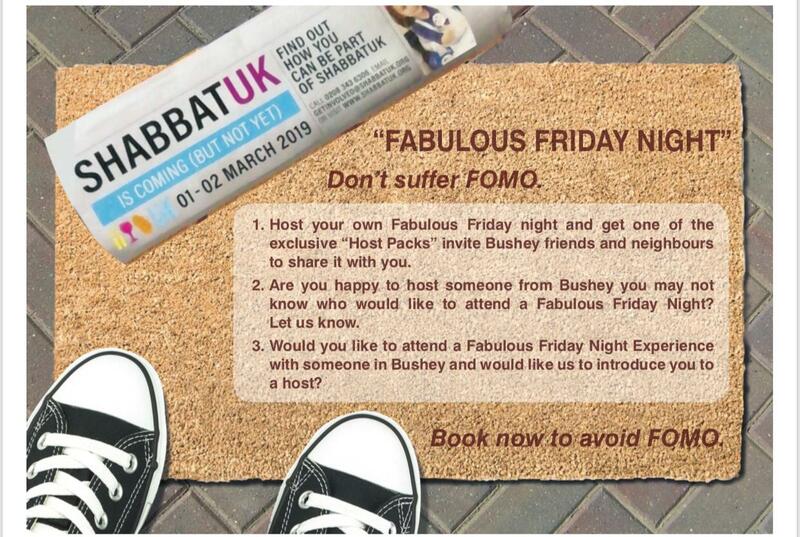 Lets see how many Fabulous Friday Nights we can have around Bushey! to add your name to the waiting list. Sponsor a balloon for Shabbat UK! Would you consider sponsoring a balloon at our forthcoming Shabbat UK Lunch on 2nd March 2019? If you choose to sponsor a balloon, we will put the name of your family, your child, your grandchild or even your pets on the balloon, which will be used to decorate the marquee. The following day, your balloon will be delivered to the children’s ward at Great Ormond Street, to cheer up the young patients. International Shabbat Superstar Rabbi Benzion Klazko inspires with wisdom and warmth Jewish communities across the globe through his unique Shabbat programmes and we are so excited for him to be our keynote presenter over Shabbat UK. Musical Ruach from Kol Tov. A Capella group Kol Tov have been performing together for more than half a decade as The 4 Sons, bringing music and light to dozens of simchas and raising more than £50,000 for 3 chosen charities. Now relaunched as Kol Tov, their new name represents what they are all about – using their wonderful ‘Kolot’ (voices) to make the world a better place. We are delighted that Kol Tov will be entertaining our community throughout ShabbatUK. Afternoon Programme. We have a packed programme of fun and inspiration all afternoon, for adults, youth and children (0-11). The Shabbat UK website gives more background information. See Shabbat UK 2017, Shabbat UK 2016, Shabbat UK 2015 and Shabbat UK 2014 to see what Bushey did then.